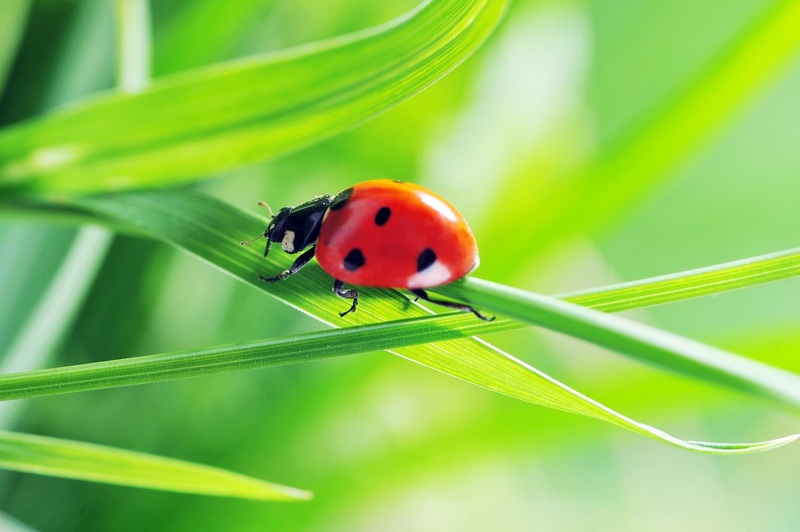 The use of beneficial insects for pest control is becoming increasingly common. The principle behind it is that some types of insects are natural enemies of insect pests. 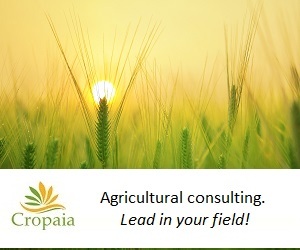 Therefore, by using beneficial insects the use of chemical pesticides can be reduced. Using beneficial insects for pest control is most common in greenhouse crops, nurseries, cut flowers, strawberries and potatoes, but beneficial insects are also used in crops such as corn and citrus. There are two types of beneficial insects and mites: predatory and parasitic. Predatory insects and mites attack and eat other insects or mites. Common predators include insects such as Praying mantis, Rove beetle (Dalotia), Orius, Mealybug Ladybird (Cryptolaemus montrouzieri) and predatory mites. The predator can be the larval stage of the natural enemy, the adult stage, or both. The most effective natural enemies are relatively host-specific and feed on a specific pest species or on a narrow group of similar pests. Some of the beneficial predatory insects have to supplement their diet with nectar, pollen and/or fungi. Praying mantis – feeds on various types of insects, such as aphids, caterpillars, beetles etc. Greenhouse rove beetle – preys on soft-bodied pests, such as mealybugs, fungus gnats and pupae of thrips. Orius laevigatus – a minute pirate bug. Used mainly for control of thrips, but also of aphids, whiteflies and mites. Mealybug ladybird – a predator of mealybugs and soft scale bugs. 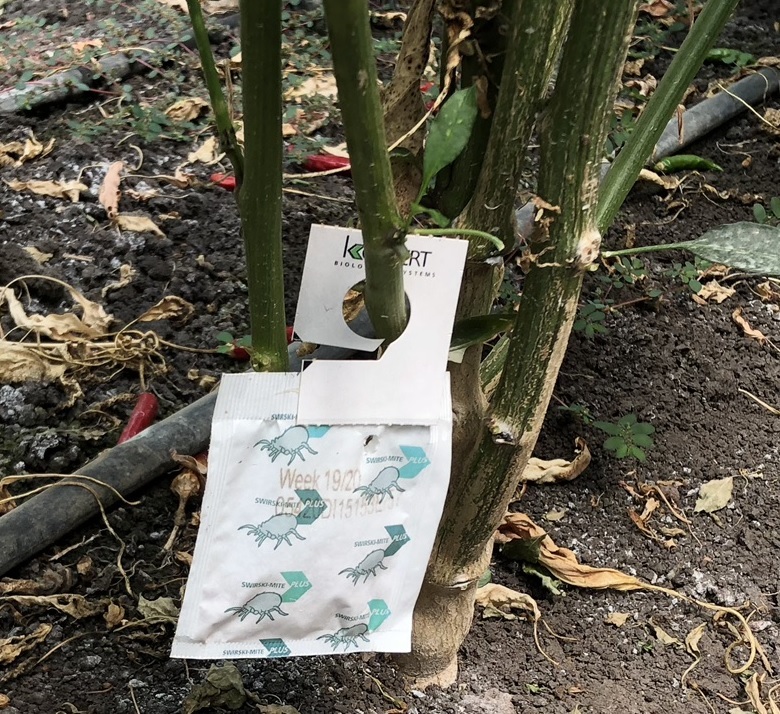 Predatory mites are used against some species of spider mites, greenhouse whitefly and young stages of the western flower thrips. Parasitoid insects lay their eggs on, or inside, other insects. Once the eggs hatch, the larvae feed on the host pest. Different species of parasitoids attack different pests, at different development stages of the pest. They may lay their eggs inside the pest’s eggs, larvae or adult. Examples of parasitoid beneficial insects include the Trichogramma wasp and Aphidius colemani. Trichogramma wasp lays its eggs insider the eggs of moths and butterflies, such as cutworms, armyworm and cabbage looper. Aphidius colemani is also a parasitoid wasp used for biological control of aphids. The female Aphidius colemani lays its eggs within the aphid. Once the eggs hatch the larvae feed on the aphid and consume it from the inside, and leaves an aphid mummy.